Been there, done that with the elliptical? 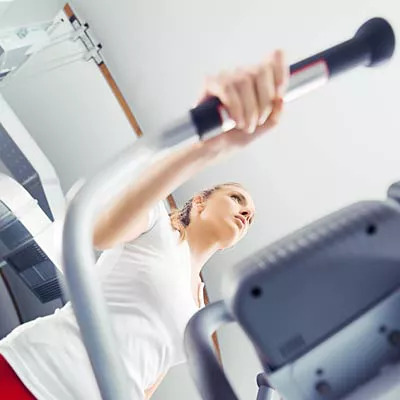 Pedaling away on the elliptical day after day sure can be a drag, but this workout with it's frequently-changing intervals will keep you interested and motivated, so the time really flies by! Been there, done that with the elliptical? 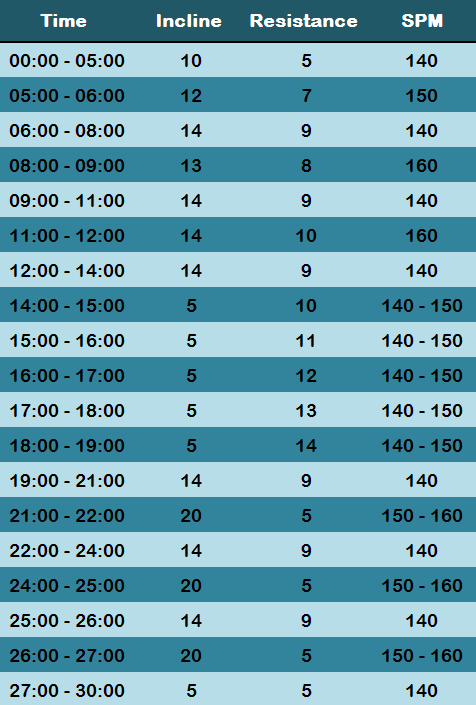 Pedaling away on the elliptical day after day sure can be a drag, but this workout with it's frequently-changing intervals will keep you interested and motivated, so the time really flies by! SPM is the number of times your legs stride on the elliptical per minute, which is tracked on the machine. To burn some serious calories, try to keep your strides per minute between 140 and 160. When you're doing intervals, increase your strides to closer to 160.